The research team has a wide experience in the field of mobile robots. Several members of this team are pioneers of the robotics research in Spain, where they have been working more than 20 years. The research team has been focused their activity research in this field, and is participating in several projects and in international networks related to the mobile robotic: EURON and CLAWAR. It is very relevant his participation in International scientific societies. The team has collaborated in several national and international projects. Architectures and navigation systems for mobile robots have been developed in TOPO project (2000-2002), based on human behaviour. This work is directly applicable to personal robots. Now, the ?Personal Assistant Robot? 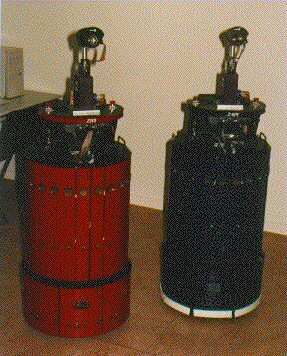 project (2002-2006) funded by McyT, the emotions during the robot behaviour is studied.